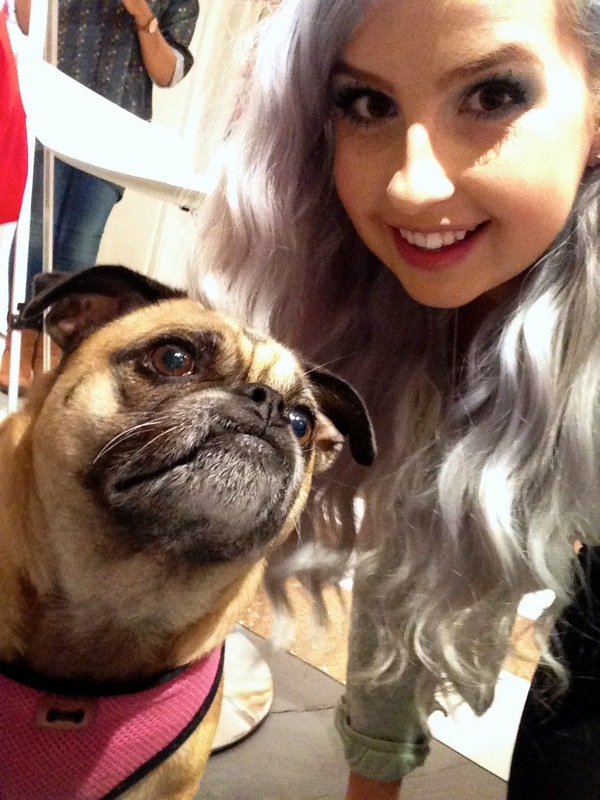 Designer, business woman, YouTube star, presenter and of course pug owner (jealous). 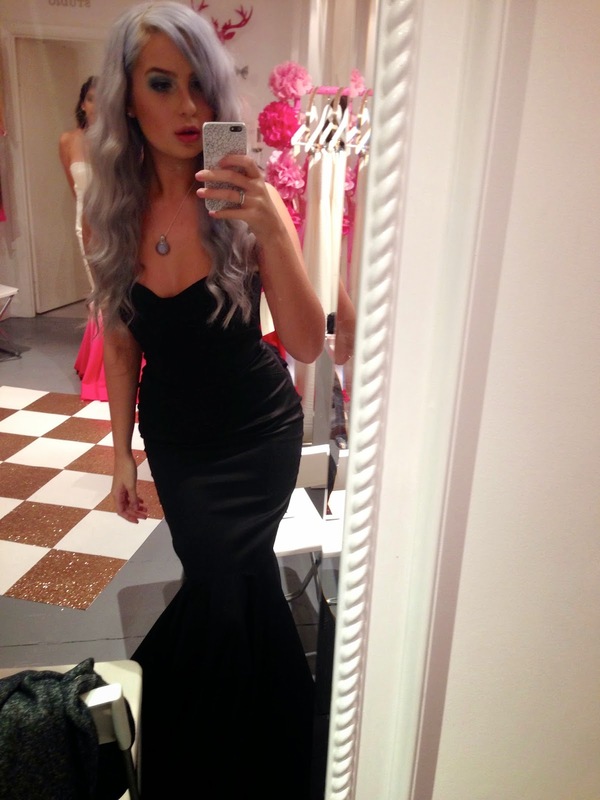 "A one stop glamour shop, this is the place to fulfill all your party dress and big hair needs. Visit our boutique or check our our online shop to view our range of custom made and ready to wear dresses, along with our luxury hair extensions complete with tutorials. If you are looking for something special have your dress made to measure, and if your on a budget follow my videos and make your own. Carolyn Baxter is a luxury dress label based in Scotland. With fan’s such as Katie Piper, Made In Chelsea’s Millie Mackintosh, and appearances on The Bachelor UK, we offer both ready to wear and made to measure options on our uniquely designed beautiful dresses." I was one of they people that followed her journey from the very start way back in 2010. Creep? no, Stalker? maybe. Don't judge! I was 4 years younger and looked up to Carolyn massively. She was making YouTube videos which was essential to me getting big fabulous hair and being constantly bug-eyed over her 'make your own dress' designs. Sigh for me though as I'm maybe the worst sewer in the world. I sewed a sock monkey once and well, it was the most stressful day I have ever had with a pair of socks. Anyway, time went on and I continued to follow her journey. She had a strong online presence and this started to become more than a hobby. Infact it became her income and she went onto open up her shop in Edinburgh. I can even remember the photo's she used to upload of going to junk yards looking for bits for the shop and of course to revamp them. I would love to do stuff like that, so I was always so inspired! (I used to be a painter and decorator so I like to paint ok). Carolyn went onto creating the most insane shop, not only does she have the most perfect location but her taste in interior design will make you drool! I had spoke to Carolyn on several occasions in the past about making a custom dress for me and various collaborations, so I couldn't help but feel like I knew her! You know what it's like when you follow someone online for so long you start to think 'AYE AKEN HER' no Nicole, no you don't. When I seen Carolyn was hosting a bloggers event in conjunction with S1 Jobs, you can imagine my face. I felt it was only natural to go and of course support such local talent AND obviously cause I wanted to meet the incredible designer herself. The afternoon was focused on retail and distribution in the fashion world. It was really interesting and it was cool to find out how a local fashion business makes money! Carolyn spoke about her journey and where she finds her business going etc. Carolyn herself is a huge inspiration to me but also to creatives in Scotland looking to take that step into the unknown. She is actually taking a huge step next year and is looking to employ someone for the first time. This will allow Carolyn some free time to focus on other areas of the business instead of sewing 24/7! We were filled with nibbles and champagne in the cutest tea cups. 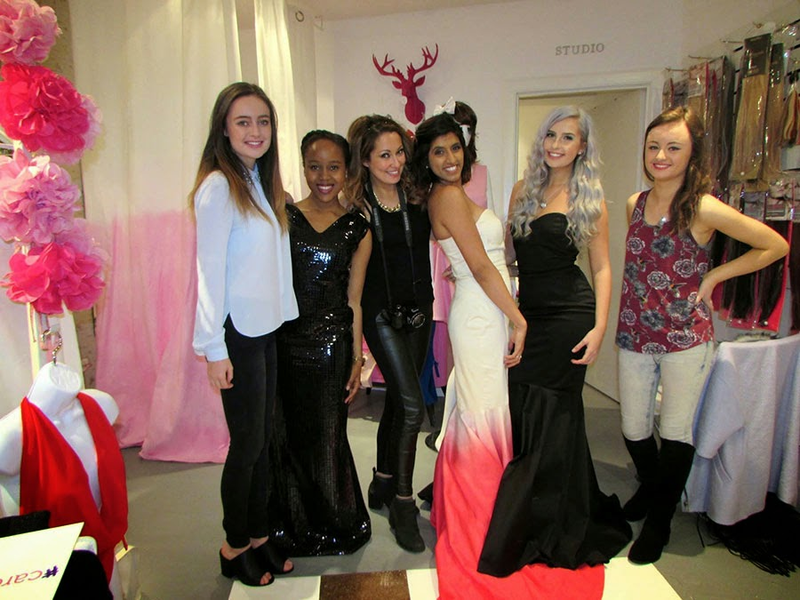 After we all got to try on her amazing creations and my god she doesn't half make the sexiest dresses in the world. You instantly feel like you can do anything and they are made to perfection. You need a dress for an event, prom, wedding then she has it. We also got an awesome insight into Make up artist Stacey Whittaker's business! Her work is ridiculously good and she is a pure laugh as well! Stacey used to work for Mac Cosmetics but is about to open her first shop 'Pouts & Pinups' in Fife, Scotland. Stacey's work has been published in magazines such as Best Scottish Weddings, The Scottish Wedding Directory, Vogue Italia, and Extract to name a few and has been lucky enough to work with some of the industry’s most prestigious events and creative professionals. She is just about to open her new shop, she is booked up for wedding make ups until forever and wait.. SHE HAS JUST HAD A BABY. It seems Stacey is an MUA/super woman.